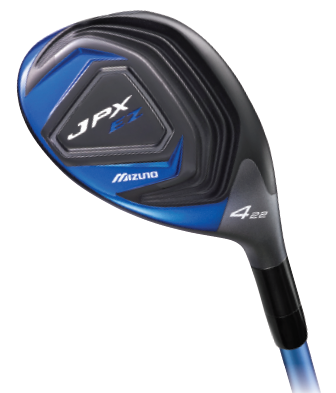 The JPX EZ Hybrid is a mini-fairway wood with a large footprint and an increased head size across all lofts. A large footprint helps inspire confidence and square the ball to the target with ease. 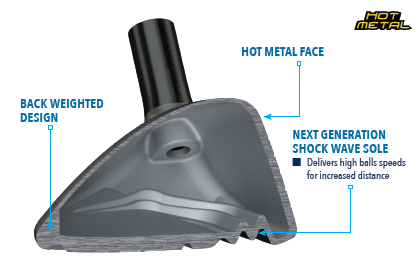 The hybrid is recognized by its expanded Shock Wave Sole located low on the clubface delivering increased ball speed for long distance trajectories. Its Shockwave sole creates a smooth transition from heel to toe allowing the crown to rebound if a player experiences high impact. The technology and innovation behind the EZ create a massive MOI design. High MOI adds weight and lowers the center of gravity to deliver unsurpassed forgiveness and high easy ball flight. The JPX EZ hybrid gives players long predictable distance and control.